Minutes from the first of the seven public meetings of the Bi-Partisan Preparatory Commission to assemble information on constitutional questions in preparation for a vote by the qualified electors on the holding of a constitutional convention in accordance with Article XIV, Section 2 of the Rhode Island Constitution. Operation Clean Government, press release, September 12, 2004. Operation Clean Government, Citizen Alert: Special Election Issue Oct/Nov 2004, Volume 12, Number 3, October 4, 2004. Collection of favorable op-eds (four). Collection of unfavorable op-eds (three). None (If you find one, please let RhodeIslandConCon.info know). Operation Clean Government filed expenditure disclosures for both questions #1 (regarding separation of power) and #2 (regarding the constitutional convention) on October 19 and November 3. Date of referendum on whether to convene a state constitutional convention. Article in the Pawtucket Times on how after the election, Operation Clean Government publicly revealed the shoddy and illegal ballot campaign finance disclosure of Citizens for Representative Government. Rhode Island Board of Elections sends a letter to the ACLU of Rhode Island requesting that it “provide the necessary disclosures to be compliant with the Rhode Island Campaign Contributions and Expenditures Reporting Act. Anderson, Liz, Election spending reports probed: The Board of Elections and an advocacy group are looking into whether some organizations need to disclose what they spent lobbying for ballot questions, Providence Journal, November 18, 2004. Rhode Island ACLU files lawsuit against the unreasonably burdensome ballot disclosure law in Rhode Island. Opinion issued in April 2006 (see below). The Providence Journal‘s Deputy-Pages Editor writes a commentary. Ed Achorn, Citizens for Special-Interest Government, Providence Journal, December 14, 2004. Complaint from Operation Clean Government to Rhode Island Board of Elections regarding Citizens for Representative Government and some of its members including, Edward O’Brien, ACLU of Rhode Island, Common Cause of Rhode Island, H. Philip West, Jr., NEA/RI and Guy Default. Mayerowitz, Scott, Watchdog group asks governor to replace Begin; Operation Clean Government also files complaints with the Board of Elections against two advocacy groups, Providence Journal, January 6, 2005. The Providence Journal‘s Deputy-Pages Editor Ed Achorn writes a commentary, Hiding Behind Mr. O’Brien, an investigative report of the secret (but legal) financing of the Citizens for Representative Government no campaign. Elections Board to examine spending on ballot questions: The present statute is “ambiguous and impractical, resulting in an unenforceable law,” board chairman Roger N. Begin says, Providence Journal, March 7, 2005. Complaint from Operation Clean Government to Rhode Island State Police requesting that the Rhode Island State Police conduct an investigation to determine whetherequr actions of Guy Dufault are in violation of Rhode Island General Law. Baron, Jim, Forgery Charged, Pawtucket Times, November 11, 2005. Gregg, Katherine, Political fallout continues for Dufault as complaint filed, TV show dropped; A citizens’ group raises allegations that the lobbyist forged a signature on election documents, Providence Journal, November 11, 2005. Memorandum and Order, Chief Judge Ernest C. Torres, Rhode Island Affiliate, American Civil Liberties Union v. Rhode Island Board of Elections, C.A. No. 04-487-T, 38 pages ——————————————————————————- Source: Most of these documents were provided by Beverly Clay, Research Director for Operation Clean Government from 1993-2011. 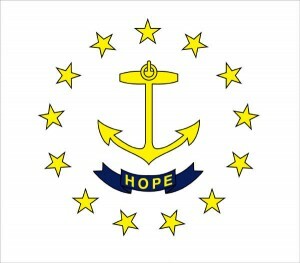 Citizens for Representative Government opposed the 2004 state constitutional convention referendums and was at the center of the 2004 campaign finance investigation by the Rhode Island State Board of Elections. Citizens for Representative Government formed in 1996 to oppose ballot question #8, which was an advisory referendum concerning a voter initiative proposed by the governor. The group was in violation of campaign finance laws as described below. Letter from Rhode Island State Board of Elections to Senator Marc Cote regarding the failure of Citizens for Representative Government to required finance reports. Letter from Senator Marc Cote to Rhode Island Secretary of State James Langevin requesting that Langevin review the legality of the Notice of Organization filing by Citizens for Representative Government. Citizens for Representative Government files campaign disclosures regarding Question #8 with the Rhode Island Board of Elections. Source: These documents were provided by Beverly Clay, Research Director for Operation Clean Government from 1993-2011.